Let us introduce ourselves to you! 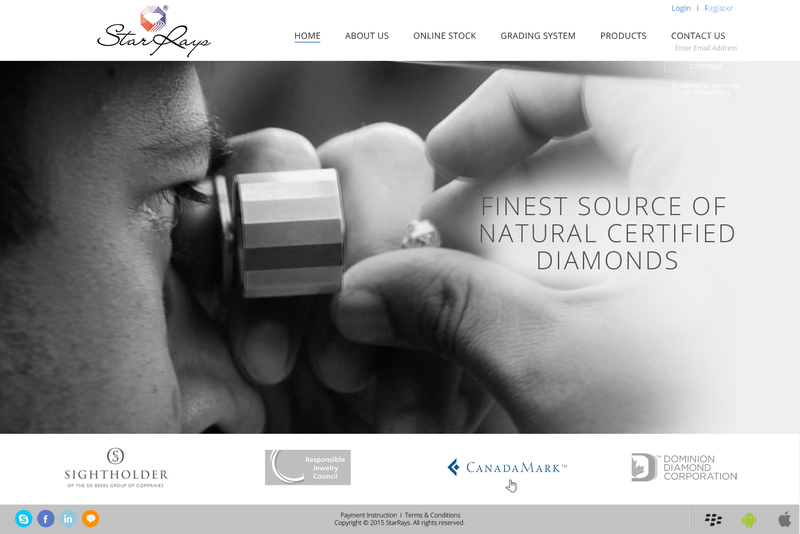 Blooming Star is a leading diamond company, since 1991. We deal right from the rough to finished and polished stone under intricate supervision and guidance of professionals. Our factory consists of 1600 workers in Surat, India, who daily manufacture polished diamonds with the utmost precision and accuracy under the expertise of specialists and computerized machines. We are dealing in the wholesale manufacture of round diamonds from 0.20 cents and above, up to 5 carats..
We specialize in white goods and next to white goods, i.e., TTTLB (Top Top Top Light Brown). Our prices are extremely competitive as seen in the attached price list, since we ourselves manufacture leaving out all middlemen and thus making a direct link between the supplier and the customer. .
All our clients can easily contact us at our office in Antwerp, Belgium. For the convenience of our customers we have sales representatives who can reach them at their offices with samples as per demand. .